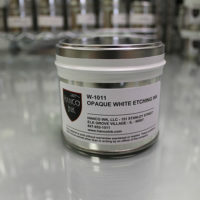 Hanco Etching Ink | Product categories | Renaissance Graphic Arts, Inc.
Hanco oil based etching inks are manufactured to exacting standards using only the finest raw materials. Three roll mills are made with hardened steel rolls that finely grind each ink to develop exceptional strength and the cleanest printing characteristics revealing even the finest details in each print. 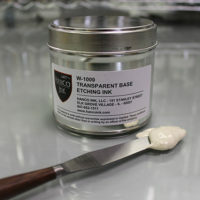 Hanco etching inks are available in a full range of colors to satisfy your needs, packaged in one pound cans for your convenience.